The British Prime Minister has reached an agreement in principle with the European Union that would give UK financial companies access to EU markets after Brexit. I believe this was later reported to be simple speculation. I agree with you. Thank you for reading this section. Asia Pacific markets were down on Monday 5 November as investors remained cautious of global growth prospects and Chinese President Xi Jinping attempted to position China as a champion of globalisation in an important speech. Xi's opening speech kicked off the 'China International Import Expo', which seeks to promote the world's second largest economy as one of the world's largest consumers of goods. The event, announced more than a year ago, contrasts with the current commercial struggle between Beijing and Washington. Xi repeated his rhetoric against protectionism and promoted his country as a defender of international openness and cooperation. Chinese shares were negotiated downwards. In Japan, the Nikkei 225 fell. Australia's ASX 200 struggled for profits, with a slight fall at the end of the session as most sectors fell. Employment growth in the U.S. picked up sharply in October and wages recorded their highest annual gain in 9.5 years. This could keep the Fed on track to raise interest rates in December. U.S. equities traded in a wide range on Friday, as investors digested various comments and reports on world trade and Apple equities weakened the technology sector in general. The U.S. dollar rose slightly against the Japanese yen on Friday, boosted by U.S. labour data. However, gains were limited by hopes that Washington and Beijing can repair the trade tensions that have led to the purchase of the U.S. dollar as a safe-haven currency. Despite a fairly strong payroll report, it appears that the dollar's gains were somewhat weak. Expectations of an orderly Brexit strengthened the pound, the euro and investor sentiment worldwide. Oil prices fell during Monday's Asian session, as the start of U.S. sanctions against Iran's fuel exports was tempered by exemptions that will allow some countries to continue importing Iranian crude, at least temporarily. During Monday's Asian trading day, gold remained stable, while investors are watching for parliamentary elections to be held in the United States on Tuesday. European markets are expected to open Monday's trading session lower. Talks with China seem to be on the right track. It seems that a draft trade agreement is being prepared. Recently, however, comments from White House officials have appeared saying that not everything is as pretty as it seems. In addition, there are constant rumours that everything the U.S. president has said is thinking in elections in a few days. The U.S. trade deficit with China has skyrocketed to historic levels, because imports from China have risen sharply. Moreover, recently the Yuan has weakened against the dollar, which is a sign that China is counterattacking U.S. tariffs. The leading role on Friday, November 2, was equally divided between a good job creation figure for October and Apple's results. The Nasdaq has been the most damaged and has managed with its collapse to drag down the other indices, feeding again the mistrust in the technological values that are those that have been growing more previously. It should be remembered that, now that Christmas is approaching, Apple's results are lowering its sales forecasts. 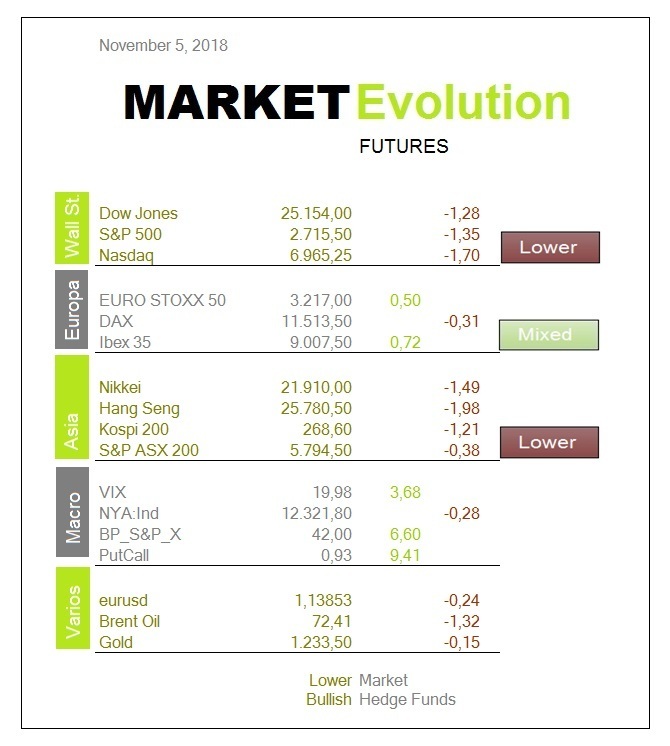 Was a bullish session in Europe on Friday, November 2, but far from the highs and without the support of Wall Street. The session has been complicated because Europe's behaviour distances itself from that of the United States, which makes everyone suspicious of European improvement. In Europe the majority of supersectors are in positive, although very far from the zone of maximums of the day. The automotive and spare parts sector continues to be the best, because it remains optimistic about a potential relaxation of trade tension between China and the United States. It continues to positively influence that China has lowered taxes on vehicle purchases in an attempt to maintain consumption. The economic growth of manufacturing companies in the euro zone has fallen to 26-month lows. All countries have lows except Spain. The PMI index published by IHS Markit, the main indicator of the evolution of the private economy in the euro area, recorded a level of 52 in October, compared to 53.2 in September. For the first time in five and a half years, orders for exports have fallen and concern about world trade has left confidence at its lowest level since December 2012. The president of the United States wants to reach an agreement with Chinese President Xi Jinping during the G20 summit held on November 30 in Buenos Aires. Trump plans to resolve the tariff war with China and has asked his Cabinet to draft a document outlining the potential terms of the agreement. The U.S. president published on Twitter a comment in which he celebrated the telephone call he had had with the Chinese president. He expressed his optimism for the willingness of both leaders to resolve the trade dispute. The Chinese president has also noted this rapprochement, in statements to state media, expressing his predisposition to sit down to talk to Trump. U.S. prosecutors have unveiled a scheme involving bribes to high-ranking government officials in Malaysia and Abu Dhabi, with the excuse of obtaining 1MBD consulting contracts for Goldman Sachs. Two former Goldman Sachs bankers have been accused in the United States of working with a well-known Malaysian financier to divert billions of dollars from Malaysia's sovereign wealth fund. Prosecutors accuse former bankers and the Malaysian financier of embezzling more than $2.7 billion. The U.S. labour market continues to show signs of strength, reflecting the country's economic growth. In October, 250,000 jobs were generated, higher than analysts' expectations of 180,000 new jobs. The unemployment rate remains at 3.7%. Wages have experienced a boost of 3.1% over a year ago, which is the highest growth in almost a decade. This scenario of labour robustness leads the United States to a further rise in interest rates in December, which would be the fourth so far this year. 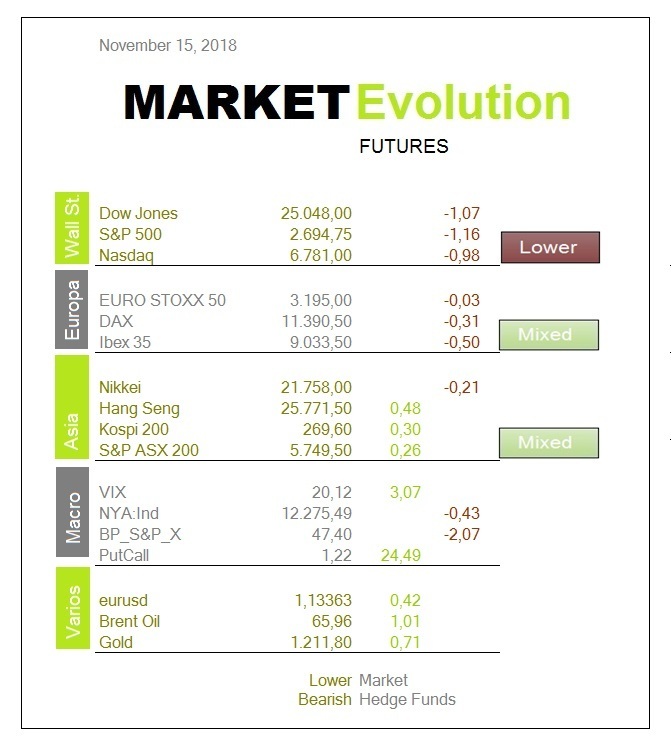 Asian equities were mixed on Tuesday, November 6, as investors look forward to the midterm elections to be held in the United States. China's markets were in negative territory at the end of the morning session. Japan's Nikkei 225 rose at the end of the session. The Japanese technology investment fund has invested billions in Silicon Valley companies. In Australia, the ASX 200 rose slightly and most sectors saw gains. The moves came after the Reserve Bank of Australia announced its decision to maintain the 1.5 per cent exchange rate. Low interest rates continue to support the Australian economy. Further progress is expected in reducing unemployment and achieving the inflation target, although this progress is likely to be gradual. U.S. congressional elections are expected to boost the Democratic Party, which has a good chance of gaining control of the House of Representatives, and Republicans are considered likely to keep the Senate. If Republicans maintain control of both houses, the dollar will soar. 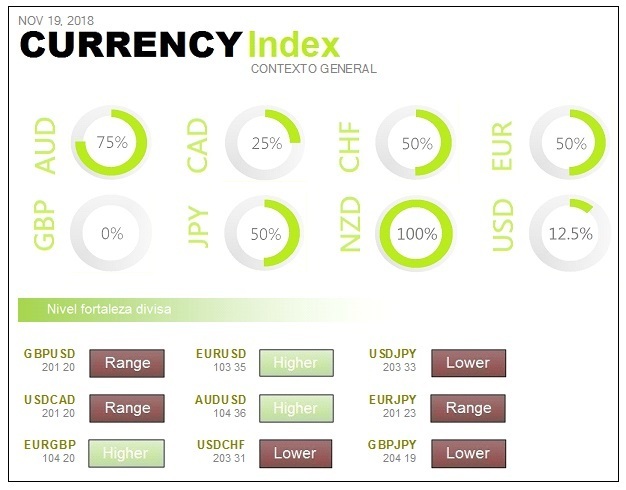 During Tuesday's Asian trading session, the dollar remained within narrow ranges against most currencies, while investors focus on midterm voting in the United States, the first major electoral test for President Donald Trump's trade policies. The euro fell slightly against the dollar. It reaches one percent higher than this year's low, reached on August 15. Eurozone finance ministers again asked Italy to change its budget for 2019, in accordance with European Union rules, before the deadline set for next week. However, Rome was quick to say that her controversial deficit plan would not change. Oil prices fell during Tuesday's Asian session. Washington's exemptions that will allow Iran's largest oil customers to continue buying from Tehran carried a lot of weight. There is also concern that the economic slowdown could slow the growth of fuel demand. During Tuesday's Asian trading, gold fell sharply in the Asian market as investors awaited the results of the midterm elections in the United States. Dow Jones Industrial Average and S&P 500 rise on Monday, November 5. Berkshire Hathaway earnings boosted the overall financial sector. The 30-share index rose 190.87 points, while the S&P 500 rose 0.6 percent. Berkshire Hathaway's Class B shares rose 4.7 percent, after Warren Buffett's conglomerate revealed that it had bought back nearly $1 billion of its own shares in August. With respect to the US data, the composite purchasing directors' index and the service directors' index are above expectations. We must remember the good job creation data that was released last Friday. The Non-Manufacturing ISM is down from last month, but is a little higher than expected and continues to provide a sense of sustenance. The gap between the U.S. and the Eurozone is widening. The negative point has been again in technology, which is the worst supersector of the day with new Apple crashes. Bad news from China because the indices of purchasing managers, both services and composite in October, calculated privately, where too close to the contraction zone. There are still signs that the Chinese economy is struggling to sustain itself. Almost neutral session in Europe on Monday, November 5, but with a negative tone as important events such as the resolution on mortgage spending in Spain, U.S. elections and the new Federal Reserve meeting are expected. Investors have barely moved, probably due to all the events ahead, and macroeconomic data has not managed to get any significant deals off the ground either. Unemployment in Spain has risen somewhat more than expected and in the UK the purchasing managers index for the services sector is lower than expected, but is firmly anchored in the expansion. The Chinese president has asked world leaders to fight together against the wave of protectionism that is sweeping the world. He assures that the Asian giant's steps towards greater economic openness are unstoppable. Xi has asked, during the inauguration of China's first International Import Expo, that the multilateral system be defended. He insisted on the need to deepen cooperation through international organizations such as the World Trade Organization. He insisted that all countries must show greater courage to fight together against protectionism, to promote the constant progress of human society and to face the profound changes that the world is experiencing. The United States has exempted eight countries from complying with the embargo on Iran's oil exports that enters into force on Monday. They allude to their special circumstances and what is necessary to ensure that the crude oil market is well supplied. U.S. Secretary of State Mike Pompeo has specified that the countries that will be able to freely import oil from Iran will be China, India, Taiwan, Turkey, Japan, South Korea, Greece and Italy. However, more than 20 countries have already completely eliminated their oil connections with the Middle Eastern country, which has caused Iran's oil exports to drop by nearly one million barrels a day. The ISM of services in the United States in October falls from 61.6 to 60.3. The figure looks better than expected, but it doesn't add up much when you look at its subheading structure. The business activity indicator is much worse than expected, as is the employment index. It should not be forgotten, however, that the figure remains at very high levels. A 60.3 is still a reading of strong expansion. These elections are seen as a kind of plebiscite to Donald Trump's policy. It is very important to know whether citizens support the aggressiveness of Trump's policies. Support could multiply the aggressiveness. This week there will also be another Federal Reserve meeting, where no changes in interest rates are expected. However, everyone will be watching for any points about the progress of the economy. It should be remembered that the focus is on technology. The Nasdaq again has problems with Apple's hand. After the 6% drop, after the bad sales forecasts, now comes news about the cancellation of several orders to suppliers for the creation of some of the new versions of the iPhone. Asia is on the rise as midterm election results filter through in the U.S.
On Wednesday, November 7, Asian markets were very positive, as the results of the long-awaited midterm elections in the United States were filtered out. Japan's Nikkei 225 rose. In South Korea, the Kospi advanced. Australia's ASX 200 was bullish, as the country's main banking stocks traded higher. In Hong Kong, the Hang Seng index traded slightly positively. The Asian session was influenced by a bullish close on Wall Street, where the three main indices advanced. The impact on Asian markets from the mid-term elections in the US is unclear. It seems that it would be better to focus on the fundamentals to gauge the situation. However, election results may influence the future economic policy of the United States and the political destiny of President Donald Trump. During Tuesday's trading, the dollar had strong ups and downs. Its movements were influenced by investor caution regarding the midterm elections in the United States and their consequences for the world's largest economy. 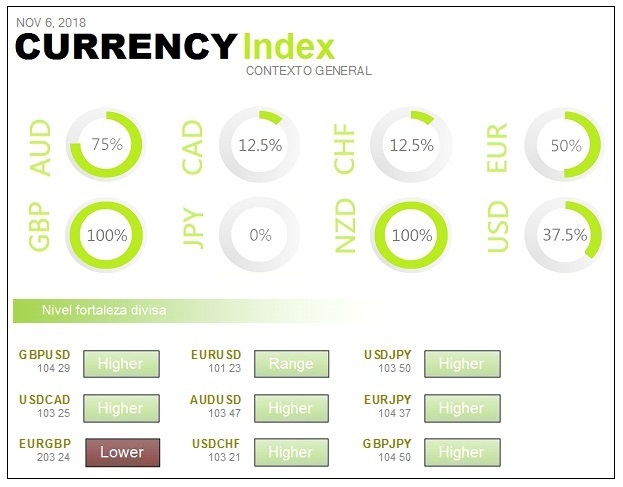 The U.S. currency outperformed most currencies throughout the year, benefiting from the strength of the U.S. economy and rising interest rates. Congressional elections could interrupt the stellar race for the world's most liquid currency. Oil prices fell in the Asian session on Wednesday, amplifying the losses of the previous session. Amid rising production and exemption from U.S. sanctions, which allow Iran's main customers to continue buying their crude, markets are well supplied. On Wednesday, gold advanced strongly as investors awaited the outcome of the midterm elections in the United States. U.S. indices rose on Tuesday, November 6, as investors were eagerly awaiting midterm election results, which could have significant implications. The Dow Jones Industrial Average rose 173.31 points, led by gains from IBM and Caterpillar. The S&P 500 gained 0.6 percent, while the industrial and materials sectors were the best. The Nasdaq Composite advanced 0.6 percent. All three major indices reached session highs within 10 minutes of closing. Democrats are expected to take control of the House away from Republicans, while Republicans retain a small majority in the Senate. Historically, the markets have done well in a divided government. Since 1928, the S&P 500 has averaged 12 percent annually when Congress was divided and Republicans controlled the White House. Crude oil has been another protagonist, due to its continuous decline, and that is that the United States opens the door to certain countries so that they can continue buying crude oil from Iran. In this way, the price is removed from tension and the Federal Reserve is not encouraged to raise rates at an accelerated rate. Slightly negative session on Tuesday 6 November in Europe, where support has come thanks to the United States having recovered from a negative opening, thanks to the awakening of technological values related to China. 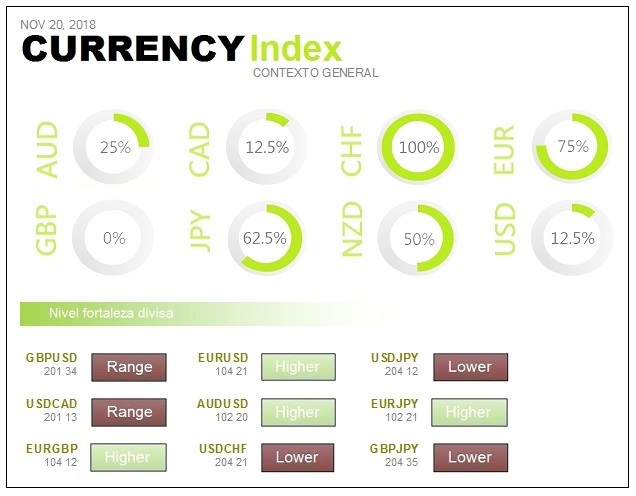 Traders do not take their eyes off the four factors that dominate the news: confirmation of a downturn in the eurozone's economic outlook, the Federal Reserve's policy, the verdict of the mortgage tax in Spain and the US elections. On the above basis, there is uncertainty about what will happen to the European project when Angela Merkel is gone. It is to be hoped that whoever takes over will be just as pro-European as she is. Otherwise the European project could be seriously jeopardised. This would be taken badly by the euro and there would be problems in the debt of the periphery, not enjoying such important political stability when times of crisis come. Speaking of the periphery, there are rises in interest in both Spain and Italy. Due to uncertainty, the future of the ten-year bond of both countries will not be able to overcome major areas of resistance. 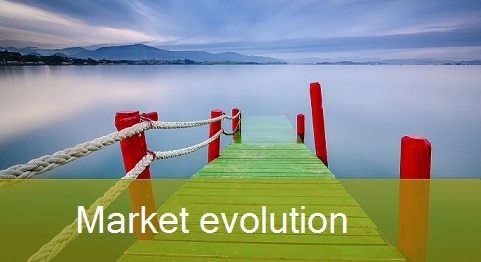 What should the midterm market in the United States expect? On Tuesday, the 6th, legislative elections will be held in the United States, better known as the 'midterms'. All polls agree that the most likely scenario is one of division in Congress. Democrats will probably take control of the House of Representatives and Republicans will keep the Senate. Wall Street registers soft purchases, waiting for the results of the mid-term elections that will show the support that Republicans and Democrats will have from now on. 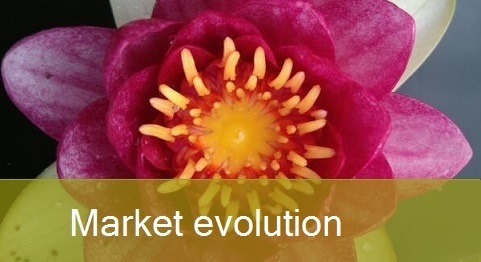 It is clear to everyone that it is the sector that has dominated growth in recent years. However, uncertainty over the trade war and bad forecasts in the last quarter are taking their toll. Many investors are reducing their exposure, which means that this sector is the most punished in recent weeks. The comment that was made that Apple was going to cut orders to suppliers has done a lot of damage. It seems that the new iPhone models could have been coldly welcomed by consumers. The effect on the providers still lasts to this day. 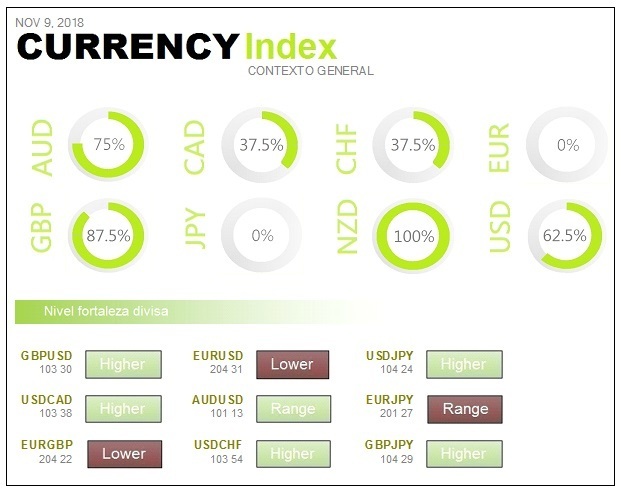 The IHS Markit Eurozone Composite Activity Index fell last month by 53.1 from 54.1 in September. It represents the slowest rate of economic growth in more than two years. The final reading of the eurozone private economy was at its lowest level since September 2016. Ireland (56.1), France (54.1) and Spain (53.7) stand out. In the latter two countries economic growth remained above historical averages. In contrast, Germany (53.4) experienced a fall in economic growth to its five-month low. It was the lowest in more than two years. Italy (49.3) enters contraction territory for the first time since the end of 2014. It is true that Europe's leading banks have passed an important test of their resilience in recent industry tests. However, the strengthened balance sheets are of little use when they generate low profitability compared to their US competitors. The results of the stress tests, published by the European Banking Authority, show that the sector is in reasonable financial health. However, the vice president of the European Central Bank, Luis de Guindos, said that a dozen banks below the 9 percent threshold should strengthen their capital positions. The latter include Deutsche Bank, BNP Paribas and Societe Generale. Asian equities rose on Thursday, November 8, after a rebound in the U.S. caused the Dow Jones Industrial Average and the S&P 500 to record their best rally after a midterm election since 1982. China's markets advanced during the session. This rally came after China's October data, both for imports and exports, broke analysts' expectations. Japan's Nikkei 225 rose 1.96 percent at the end of the session. 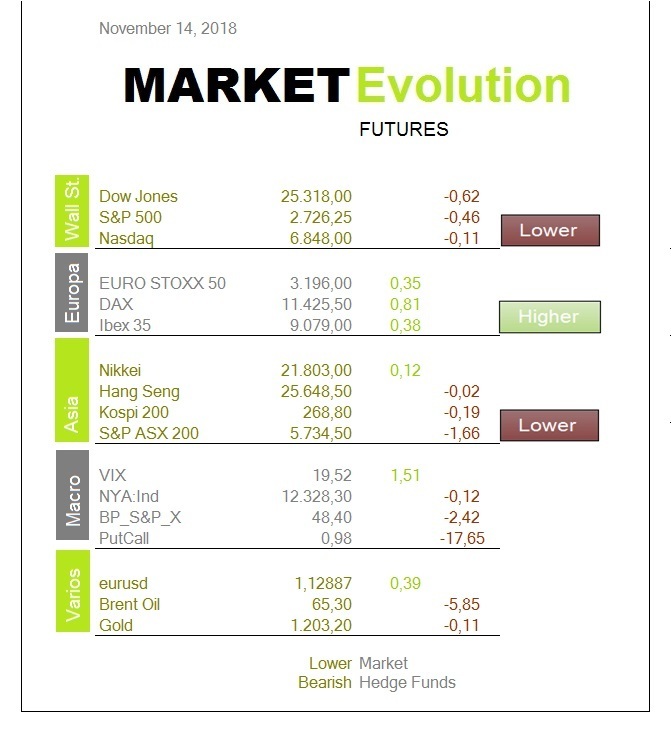 In Australia, the ASX 200 was bullish, with most sectors seeing gains as energy stocks moved higher. 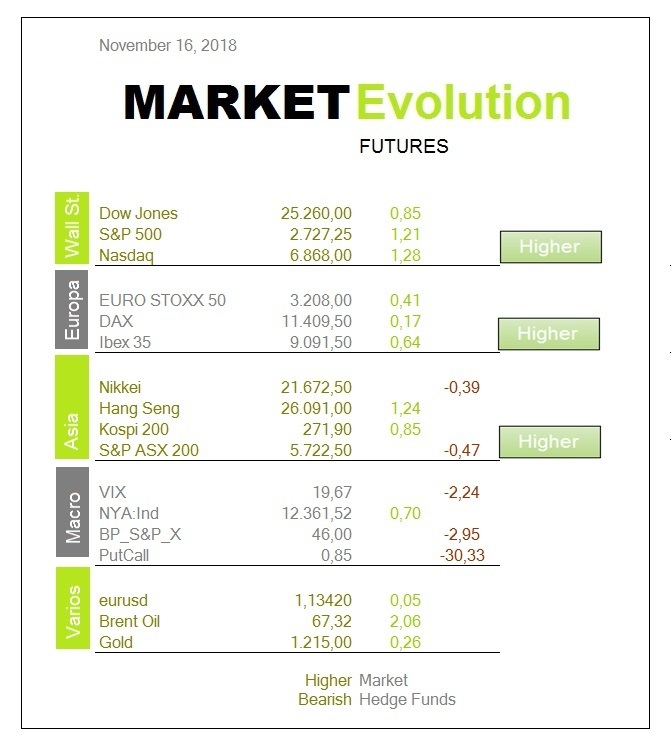 On Wednesday, the U.S. stock market closed higher after the midterm election results were released, eliminating market uncertainty. Democrats gained control of the House of Representatives while Republicans maintained their position in the Senate. The outcome of the midterm elections in the United States divided Congress. The central bank's Federal Open Market Committee (FOMC) is expected to maintain the aggressive language of recent monetary policy statements while leaving interest rates unchanged. During Thursday's Asian trading, the dollar moved within a narrow range as markets stabilized following the midterm election results in the United States. This allowed investors to focus on the Federal Reserve's policy decision. The dollar is likely to benefit as the Federal Reserve is expected to maintain its aggressive stance. The U.S. economy needs rising interest rates as wage pressures build up and there is a risk of overheating. While the Federal Reserve is on track to raise interest rates, the Bank of Japan will continue with an ultra relaxed monetary policy due to low growth and inflation. The widening interest rate differential between U.S. and Japanese bonds has made the dollar a more attractive bet than the yen. Oil prices fell on Thursday, as record crude oil production in the United States raised concerns about the return of oversupply. This caused that, from within OPEC, there was once again talk of the need to stop production in order to avoid an overabundance of oil. Gold fell sharply on Thursday in Asia as investors focus on the Federal Reserve's monetary policy decision. European markets are expected to open Thursday's trading session higher. S&P 500 and Dow record their best rally after mid-term elections since 1982. On Wednesday, November 7, the U.S. stock market closed higher after midterm election results were released, eliminating market uncertainty. Democrats gained control of the House of Representatives while Republicans maintained their position in the Senate. The midterm election result in the United States divided Congress. The major indices reached session highs after President Donald Trump indicated that he is willing to work with Democrats on policy initiatives that will help the economy continue to grow. The Dow Jones Industrial Average closed 545 points higher, led by earnings from UnitedHealth and Apple. The S&P 500 won while the health care, technology and consumer discretionary sectors recovered more than 2.8 percent. The Nasdaq Composite rose 2.6 percent. European equities rose on Wednesday, November 7, with investors digesting midterm election results in the United States. The Stoxx 600 pan-European index finished up, with all sectors in green. Banks, retailers and construction companies were among the most prominent. The FTSE 100, Germany's DAX, France's CAC and Spain's IBEX were all in positive territory. The actions of Spanish banks pushed the sector up, after the Supreme Court ruled that banks are not obliged to pay mortgage costs. This saves them the possibility of having to repay billions of euros to borrowers. Retail stocks were on the rise, thanks to news of business results. The Democrats took advantage of a wave of discontent with President Trump to gain control of the House of Representatives on Tuesday. This gives them an opportunity to block the president's agenda and put his government under intense scrutiny. In the mid-term elections, two years after winning the White House, Trump and his Republican comrades expanded their majority in the Senate. However, the results were a bitter pill for Trump, who turned the campaign into a referendum on his leadership. Despite the loss of the Lower House, Trump wrote on Twitter... 'It's a tremendous success tonight. According to NBC News projections, Democrats would have a 229-seat majority in the House of Representatives, versus 206 Republicans, thus gaining control for the first time in eight years. Other media also projected that Democrats would get at least the 23 more seats they needed to get a majority. High-risk nuclear talks between Secretary of State Mike Pompeo and a senior North Korean official were suspended. It is a setback for a difficult diplomatic process. With this news the hopes of denuclearization are reduced. North Korea boasts of its nuclear weapons program, publishing photos and videos of its missiles. But there are small clues in them about their true capabilities. A team of U.S. analysts working outside the government shows how they decode these images to determine when North Korea is lying and when it is showing its true power. Midterm elections in the United States are going to create significant changes in the way President Trump can achieve his goals. However, the results may not mean much to the country's trade policies. It is unlikely that America First's philosophy will drastically deviate from its current course. The result will serve to challenge Trump in some areas: military spending and business abroad. In trade policy, however, Trump enjoys executive power and can set the terms regardless of whether Congress is divided or not. Both Democrats and Republicans are believed to support a tougher stance on Chinese trade and intellectual property practices. As a result, the president can enjoy bipartisan support as he presses for Beijing to reduce the bilateral deficit. US trade policy, turned into a trade war due to the increase in tariffs to several countries, is emerging as one of the greatest geopolitical risks for 2019. According to Moody's, the outlook for the advanced G20 economies will grow by an average of 1.9% in 2019, compared to 2.3% in 2018. Emerging economies will follow the same slowing trend, despite faster growth. The developing economies of the G20 will grow by an average of 4.6% in 2019, four tenths less than in 2018. Asian stock markets hit lows at the end of Thursday, November 8, after the U.S. Federal Reserve kept interest rates unchanged at its last meeting. The main driver of the decline in Asia was Hong Kong, where the Hang Seng index fell by 2.39 percent. Japan's Nikkei 225 fell 1 percent. 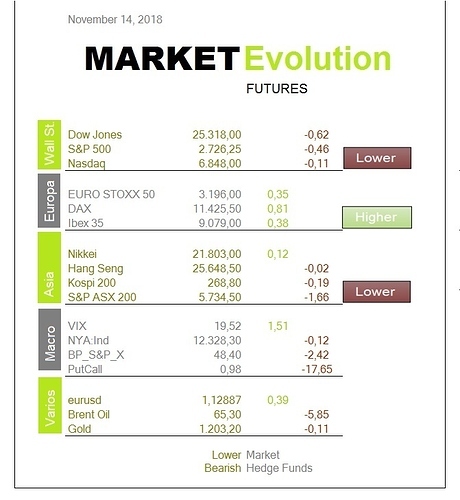 In Australia, the ASX 200 was bearish, with the main sectors in mixed territory. Energy stocks fell, while the financial sub-index was slightly down. Chinese markets, which investors are watching closely as trade tensions between Washington and Beijing continue, also traded in negative territory. Movements in China followed the October Consumer Price Index and Producer Price Index, which were 2.5 percent and 3.3 percent higher compared to last year. Those figures are in line with expectations. The S&P 500 closed lower on Thursday, after large gains in the previous session and investors assimilated the Federal Reserve's latest monetary policy decision. The Fed kept interest rates unchanged as expected. However, the Central Bank said it expects further gradual increases. The Fed did not mention the volatility that has affected the market recently. The Fed has raised its interest rate three times this year and the market expects another rise in December, thanks to the strength of the U.S. economy, rising inflation and strong job growth. During Friday's Asian trading session, the dollar gained against the euro and the pound. 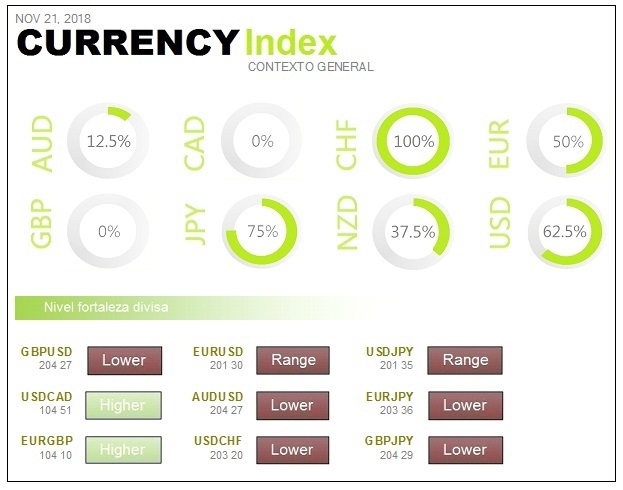 In foreign exchange markets, investors' attention is once again focusing on the divergence between the monetary policies of the United States and other major economies, such as Japan, where interest rates remain extremely low. 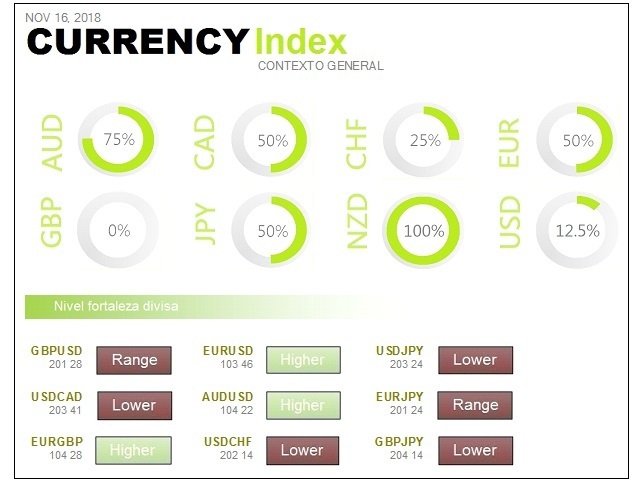 As a result, the Japanese yen remains at a five-week low against the dollar. 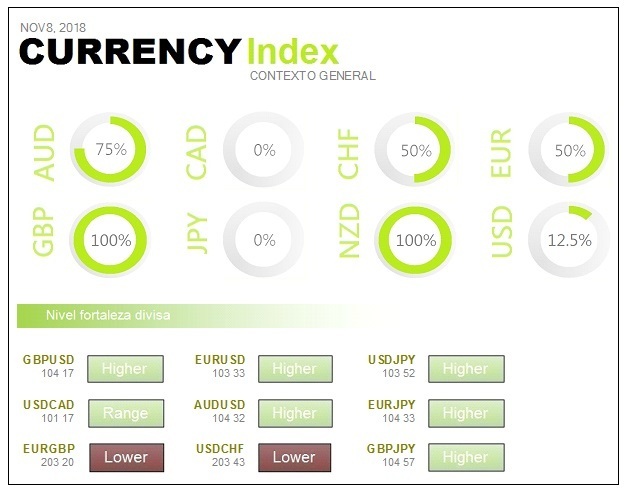 The strength of the dollar is also due to the weakness of the euro and the instability of the pound sterling. On Friday, oil markets remained weak due to increased supply and concerns about an economic slowdown. US crude oil has fallen by around 20 percent since early October. China's crude oil imports reached 9.7 million barrels per day in October, a record for the country. The figures represented a 6.2 percent increase over the September figure. The price of gold fell in the Asian session to last week's low. It is its biggest weekly decline since August. European markets are expected to open Friday's session downwards. The S&P 500 stops its bullish streak with the Federal Reserve seeking to raise interest rates. The energy sector lagged behind and leads the index to break a three-day winning streak. The Nasdaq also fell, due to a sharp drop in Qualcomm shares. However, the Dow Jones made a small gain, which is a four-session winning streak. Wall Street awaited the Fed's decision as they looked for clues to the Central Bank's future monetary policy moves. The Federal Reserve has raised interest rates three times this year and is expected to do so again before the end of the year. 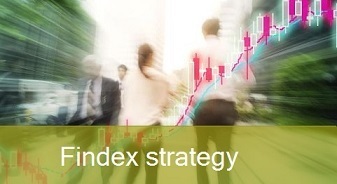 The Stoxx 600 pan-European index provisionally ended with a slight rise and mixed sentiment across sectors. The UK's FTSE 100, Spain's IBEX and Switzerland's SMI offset the losses of France's CAC 40 and Germany's DAX. Bank shares outperformed most of their competitors, thanks to their positive results. Health care was another sector that made progress. The media sector showed weakness. Weekly unemployment claims have barely moved from last week and were expected. On the one hand, It’s at low levels, supporting a well-functioning economy and for the Federal Reserve to continue to gradually raise interest rates. 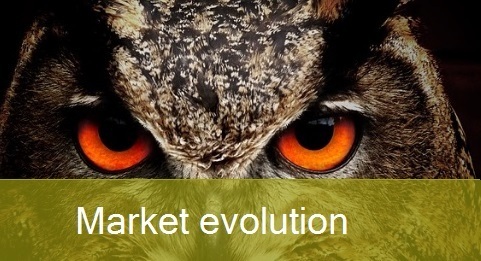 Interest rates in the secondary market are approaching important levels, exactly the same as mortgages which are already approaching 5.15% on average over 30 years. On the other hand, Black Friday is approaching and each time the offers are going to start earlier. Amazon started and now Walmart will do the same strategy. The apparent tie continues to arouse uncertainty. Equality between Democrats and Republicans will help agreements for policies to move forward. However, Trump's latest moves show that he is prepared to continue sowing controversy. Now the Attorney General has been removed, showing Trump's defensive position, almost accepting her guilt in the charges against him. The European Commission will revise downwards the growth forecasts for the European economy in general, and for Spain in particular, for this year and next. Until now, Brussels forecast GDP growth of 2.8% and 2.4% respectively, but the figure will now be lower in both years. The European Commission is lowering its estimate of Spanish GDP growth for this year and next, making it difficult to meet fiscal targets. There are things that remain unchanged and one of them is that the European Commission traditionally does not believe the forecasts of the Spanish Executive for the following year. Tesla has announced that Robyn Denholm will replace Elon Musk as chairman of the board of directors of the electric car manufacturer. They are doing so more than a month after the billionaire had to resign from his role at the helm of the Company, having reached an agreement with U.S. regulators following irregularities in his management. Asian markets receded on Monday, November 12. Investors remain cautious about global risks from US-China trade disputes, growth prospects and oil prices. Japan's Nikkei 225 eliminated initial losses and ended up slightly higher. In South Korea, the Kospi regressed. China's markets were mostly positive at the start of the session. In Australia, the ASX 200 eliminated initial losses and ended up slightly higher. The heavily weighted financial sub-index fell. US indices fell on Friday, as further losses in oil prices raised fears of a global economic slowdown. Despite this, the major indices ended up recording strong weekly gains. The indices recovered most of their losses at the end of the day. At session lows, the Dow fell 308 points. 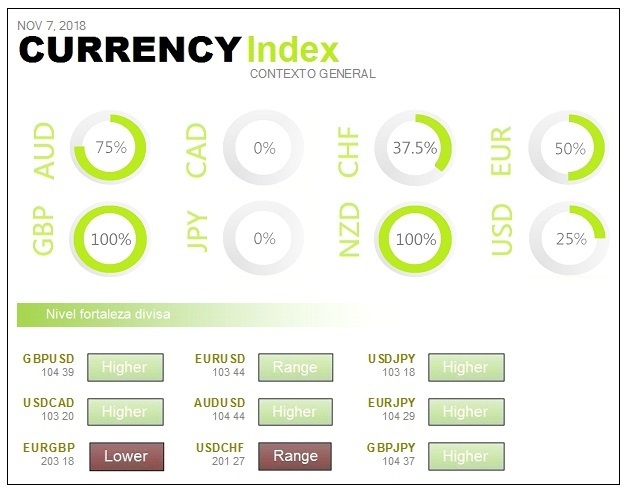 The U.S. dollar hit a 16-month high against the euro on Friday after the U.S. Federal Reserve maintained interest rates and reaffirmed its monetary tightening stance. It is supported by the strength of the U.S. economy. However, the U.S. dollar was negatively affected after Tuesday's midterm elections, as the outcome is expected to make further fiscal stimulus measures unlikely. Oil prices rose by about one percent in Monday's Asian session, after the main exporter, Saudi Arabia, announced a cut in supply for December. It has been seen as a measure to stop the price drop, which had lost 20 percent since early October. A committee of several OPEC members, and other oil exporters, said a group of about two dozen countries may have to launch a new round of production cuts to maintain the balance of the oil market. During Monday's Asian trading, gold remained stable at last month's lows. European markets are expected to open Monday's trading session downwards. Dow drops 200 points on concern over slowing global economic growth. U.S. indices fell on Friday, November 9, as further declines in oil prices awakened fears of a global economic slowdown. The Dow Jones Industrial Average fell 201.92. Caterpillar and Goldman Sachs' losses offset Disney's gains. The S&P 500 fell 0.9 percent, led by discretionary consumer action and technology. The Nasdaq Composite lagged, as Facebook, Amazon, Netflix and Alphabet shares traded lower. However, the indices recovered most of their losses at the end of the day. Was a negative session in Europe on Friday 9 November where very few have been saved, despite the strong support given to some sectors by the collapse of the price of crude oil. Most of the supersectors in Europe are in negative, with remarkable losses in basic resources, automotive and spare parts, oil companies and banks. Basic resources is the most damaged because good macroeconomic data does not come out of China, despite the good figures that the United States is showing. The Dollar has been favoured on Friday, so commodities are having a considerable decline. Oil companies are damaged as the price of crude continues to plummet. The automotive and spare parts sector is damaged by the extra costs for the conditioning of diesel engines. Banks are still in the spotlight, as they are the focus of concern in peripheral countries. It should be remembered that Italy has zero quarterly growth. They are also looking for formulas to contain the bad image of the Italian financial system, which could provoke a coming crisis. The International Monetary Fund advocates greater openness, particularly in services, because that would increase productivity. The essential thing is that globalisation must evolve in a different way, with better respect for rules and the environment. In his opinion, the greatest concern today is not so much the economic situation, which is not alarming, but the policy whose development may have serious economic consequences. The director of the International Monetary Fund underlines that while democracy, life expectancy and sanitary conditions have progressed in the world in recent decades, the number of democratic regimes began to decrease in 2017. Lagarde is really concerned about the increase in populism in recent elections, as well as a craving for authoritarian right-wing and left-wing regimes. In many countries there is a stagnation in the standard of living of the middle classes, an aggravation of inequalities and an anger at the elites, who have not been punished for the mistakes made in the past. The current situation makes simplistic and populist theses more attractive. The International Monetary Fund has expressed its concern about the risk of contagion of the Italian crisis to those European economies in worse macroeconomic conditions and smaller fiscal space. In the IMF's analysis of the evolution of the European Union economy, they have warned that the risks have increased. They point out that, in the short term, escalating trade tensions and a marked tightening of global financial conditions could undermine the recovery. In the medium term, the IMF notes that the risks are the postponement of fiscal adjustments and structural reforms. Challenges related to demographics, growing inequality and weakening confidence in traditional policies are also a major problem. Industrial production in France fell by 1.8% in September, after a 0.2% increase in August and despite the pull of construction. Most industrial sectors recorded declines in September, starting with transport materials, capital goods and, to a lesser extent, the category of other industrial products. On the other hand, there was an increase in production in the refining sector, in coal processing and, above all, in construction. Asian equities fell on Tuesday, November 13, following the Dow Jones Industrial Average, which fell more than 600 points in the U.S. session. China's markets remained mixed at the end of the morning session. In other major Asian markets, Japan's Nikkei 225 fell. Apple Japan Display supplier shares fell 7.62 percent after the company reported its sixth consecutive quarterly loss and lowered its outlook. The losses spread to South Korea. Stocks of heavyweights in the industry experienced a sharp decline, as Samsung Electronics lost 2.1 percent. Australia's ASX 200 was weak, with almost all sectors in negative territory. Wall Street stocks fell on Monday, with falls led by technology stocks. Late in the afternoon, the major indices hit their day lows after the White House circulated a draft report on new car rates. Trump believes that threatening more tariffs on foreign-built cars is his best trade negotiation tactic. Investor confidence has been eroded by bitter trade tensions between the United States and China, fears of a Brexit without an agreement, and the confrontation between Rome and the European Union. Added to this is the view that corporate profit growth has peaked amid rising borrowing costs. During Tuesday's Asian trading session, the dollar hit a 16-month high against most of its major currency pairs. It benefited from safe-haven capital flows, which were caused by political uncertainty in Europe and fears of a slowdown in the global economy. Oil prices fell by about 1 percent on Tuesday, after the U.S. president pressured OPEC not to cut supply. The downturn came amid a bad session of the Asian and Wall Street markets. The strength of the US dollar makes oil imports more expensive for any country that uses another currency. During Tuesday's Asian trading session, gold rose sharply as investors turned to bargain hunting and after the precious metal fell to one-month lows with the weight of a strong dollar. European markets are expected to open Tuesday's trading session lower. The commemoration was on Sunday, but was moved to Monday, November 12. Many traders were on holidays and the debt market was closed. In addition, no significant macro data has been released. Crude oil is plummeting from $75 to $60 for support. Now there are reports that Saudi Arabia, together with OPEC, is planning to start cutting production. This should help some recovery. If crude oil corrects and begins to rise, the most damaged would be the values that depend on it, such as, for example, airlines and all values related to travel and leisure, which have been among the most affected sectors. If crude oil improves, the outlook for rising inflation in the US will increase. This will give the Fed more support to continue to raise interest rates gradually. 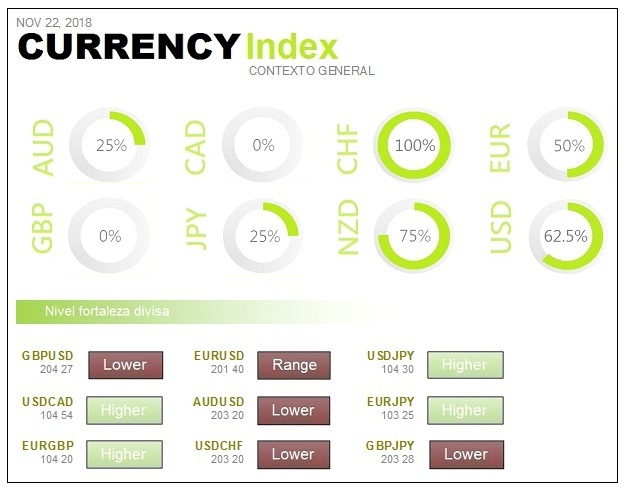 On Monday 12 November, all eyes were focused on the evolution of the dollar, the euro and the possible bullish impulse that the price of crude oil is going to suffer. If we look inside the market we can see that the technological ones are the worst, pushing down the German index in a very important way. The Infineon and SAP crashes have weighed in. Italy's industrial production data leaves larger than expected declines in the monthly figure and an improvement in the year-on-year. Within the fixed income, Germany again has price increases, which shows that there is a search for security. The periphery once again has problems, with sharp falls in the future on Italy's ten-year debt. Saudi Energy Minister Khaled al Falih said the Organization of Petroleum Exporting Countries and its allies have agreed to reduce oil supplies by one million barrels a day by 2019 to balance the market. The Saudi Ministry of Energy said he appreciates the cooperation of all producers to ensure stable markets. He assures that there is sufficient supply. Cooperation between OPEC and non-OPEC countries will continue until 2020. The vice-president of the European Central Bank, Luis de Guindos, warned that concerns about debt sustainability have once again arisen in Europe. In both the public and private sectors, Italy is the most prominent case at the moment. Strong market reactions to political developments have created new concerns about the connection between banks and sovereign debt in parts of Europe. According to de Guindos, fiscal discipline and respect for European directives are necessary. De Guindos said that the fundamental data point to economic growth in the next two years. However, he warned that risks are being created in the financial system, both in the euro area and globally. Even if some extraordinary events are set aside, the underlying trend is weak and the outlook is risky. Few economists predict a global recession, as the U.S. economy continues to lead strongly. Most even see the possibility of a rebound, perhaps in 2020. But the risks are tilting towards a negative outcome, now that the global business cycle is entering a mature phase, having passed the peak of its growth in 2017. The big Internet companies have been accused of avoiding taxes, by diverting their profits to the states of the block with the lowest tax burden. The plan aims to change the tax rules that have allowed some of the world's largest companies to pay unusually low rates for their profits. This requires the support of the 28 states of the European Union. Right now several small countries are opposing it. The most significant is Ireland. Tax cooperation at EU level already exists in some areas, such as VAT regulation. Ultimately, however, taxing remains a matter for individual Member States. Asian markets traded in mixed territory on Wednesday, November 14, with oil prices plunging further into negative territory. Mainland China's markets, which have been closely watched by investors due to the U.S.-China trade war, were in mixed territory. The country reported that industrial production in October was 5.9 percent higher than a year ago and better than expected. Retail sales in October, however, were below expectations. In Australia, the ASX 200 fell at the end of the session, while the South Korean Kospi also showed negative territory. In Japan, the Nikkei 225 was traded without major changes. U.S. indices fell on Tuesday and failed to make up ground lost in the previous session. The major indices reached their session highs after White House economic advisor Larry Kudlow confirmed the resumption of U.S.-China talks. The energy sector was the worst, as crude oil prices fell to their lowest levels in a year. The stock market seemed to move at Apple's whim, falling back to red after the company suffered further declines in its price. 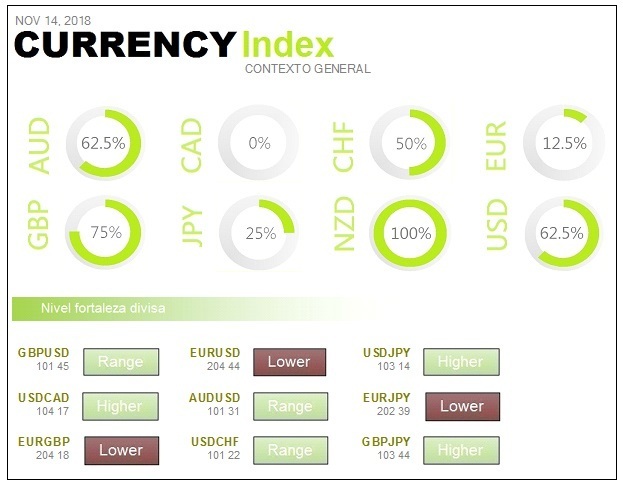 The euro and pound sterling rose during Wednesday's Asian session, while investor confidence rose on news that Britain had reached an agreement on Brexit with the European Union after more than a year of talks. The rise in the euro and British pound led investors to take profits on the US dollar, which has fallen from its 16-month high. The sale of the dollar was due to improved risk sentiment rather than problems with the fundamentals of the US economy. On Wednesday, oil markets fell again, amplifying the 7 percent losses recorded in the previous session. Rising supply, and the spectre of hesitant demand, has frightened investors. In Wednesday's Asian session gold rose, with the US dollar receding after the 16-month high reached earlier in the week. European markets are expected to open Wednesday's trading session down. Dow drops in a wild session and Wall Street doesn't recover from previous heavy losses. On Tuesday, November 13, American indices fell, victims of a very volatile market. 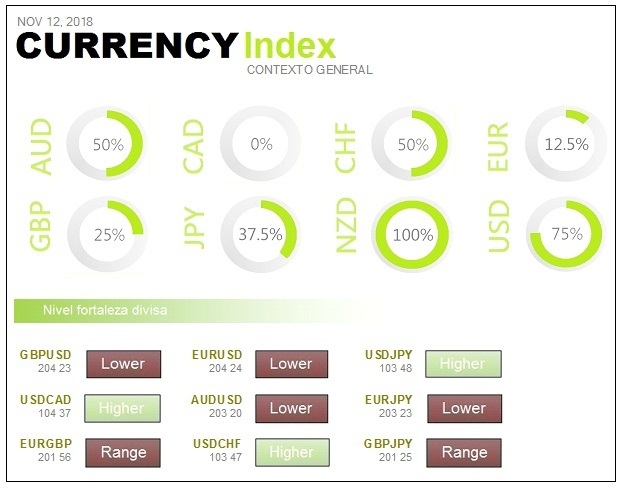 In the end, however, the main indices reached their session highs when White House economic advisor Larry Kudlow confirmed the resumption of talks between the United States and China. He also had good words about the progress of negotiations with Europe and Japan. The energy sector was the worst, as crude oil prices fell to their lowest levels of the year. The stock market seemed to move at Apple's whim, following further declines by the Company. Was a bullish session in the European market on Tuesday 13 November, with the strong negative influence of the technology sector. In the end, the good news about the negotiation between the United States and China managed to overcome all the negative factors and make Europe end up positive. 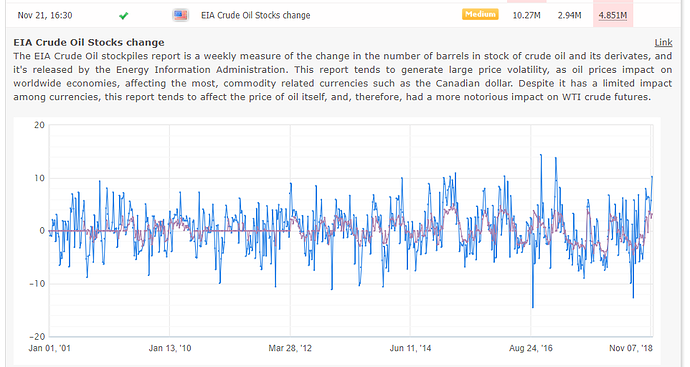 Crude oil prices have also weighed, making oil companies the worst in Europe and the United States. In reality, such an abrupt drop in the price of crude oil is positive for the economies and also reduces the power of inflation. The problem is when this fall is caused by the forecasts of a decrease in demand due to the economic slowdown. Comments have been made that agreement would have been reached on the border problem with Northern Ireland after Brexit. It is said that the British European Union exit cabinet has been called upon to sign the agreement. The new survey of economic sentiment in Germany and Europe, conducted by the ZEW Institute, continues to give negative data. The European Central Bank announced at the beginning of this year that the first rate increase after the crisis should not occur before the summer of 2019. The ECB's chief economist Peter Praet believes that the euro area still needs a significant stimulus from monetary policy. It is still too early to speak of a rise in interest rates. In the Entity all options are open, including the reactivation of the asset purchase program. Praet reiterated that a substantial degree of monetary tightening is needed to support the rise in inflationary pressures and reach the inflation trajectory of close to 2% over the medium term. In the Dow Jones the values that have risen the most are Microsoft and Coca-Cola Company. It is expected that Home Depot will publish its results before the login and that the cannabis company, Tilray, will do so after the close of the market. The falls of Wall Street were led by Apple, which closed giving 5% after the profit warning launched by one of its suppliers of facial recognition technology. The Organization for Economic Cooperation and Development unemployment rate stood at 5.207 per cent in September, compared to 5.278 per cent the previous month. It represents its lowest level of the entire historical series. The number of unemployed among the developed country Club economies fell in September to 33.05 million from 33.48 million the previous month. This figure is 400,000 more unemployed than in April 2008, a date considered by the OECD as the last month before the Great Recession. The lowest unemployment rates among OECD countries in September corresponded to Japan and Iceland and the highest rates were seen in Greece and Spain. The agency has improved its debt outlook to 'stable', thus withdrawing the special negative revision it had expressed at the end of August. S&P has downgraded Argentina's long-term credit rating from "B+" to "B". Among the causes is that there has been an erosion of economic growth trajectory, inflation dynamics and debt profile following setbacks in implementing a challenging economic adjustment program. They have warned that the recent economic crisis has reduced the level of political approval of President Mauricio Macri's administration. Shares in Asia showed a mixed tone on Thursday 15 November, despite an apparent improvement in risk sentiment after Theresa May said she had obtained sufficient support from her government for her proposed Brexit deal. China's markets made gains at the start of the session. Far from China, however, the outlook seemed cloudy. The Japanese Nikkei 225 fell 0.63 percent at the end of the session. In Australia, the ASX 200 index lost its initial gains and fell as most sectors showed a negative tone. The heavily weighted financial sub-index fell as Australia's so-called 'Big Four Banks' showed weakness. South Korean Kospi also lost its initial gains and fell in the end. US indices fell on Wednesday, as Apple again struggled before recovering slightly. The drop in bank stocks also put pressure on the market. The dollar weakened on Thursday against the pound and the euro. These currencies rose after Theresa May obtained cabinet approval for her Brexit project. However, the rise was limited by concerns about whether the plan would get parliamentary approval. The draft divorce settlement with the European Union, reached on Tuesday, would allow the UK to make Brexit less chaotic than expected. But EU chief negotiator Michel Barnier warned that the road to ensuring a smooth UK exit remains long and potentially difficult. Oil prices fell during Thursday's Asian session. They were hurt by increased supply in a market where consumption is expected to slow due to a gloomy economic outlook. Gold prices remained stable on Thursday, after rising almost 1 percent in the previous session. European markets are expected to open Thursday's session downwards. U.S. indices fell on Wednesday, November 14, as Apple again struggled before recovering slightly. The drop in bank stocks also put pressure on the market. Apple briefly traded 20 percent below its all-time high, trapped in a bear market. The decline comes after Guggenheim downgraded stocks and UBS cut its iPhone estimates. Investors have been worried that the Company's sales will slow in the near future. Crude price collapses have had a major negative impact on the energy sectors, both in the US and in Europe. There is also the negative impact of U.S. tariffs. The International Monetary Fund warned several weeks ago that the negative effects on the world economy are already being felt. Was a negative session in the European market on Wednesday, November 14, where macroeconomic data shows the crude reality. The current situation began at the beginning of 2018, with sharp declines in purchasing managers' indices. In this session everything has revolved around the fear of a poor performance of the global economy in the medium term. The sharp drop in the price of crude oil, macroeconomic data from China, bad readings of gross domestic product in Europe and the strong outflow of money from the technology sector are the symptoms. If we look inside the market we will see that in Europe the majority of supersectors are in negative, with basic resources as the worst. Automotive and spare parts is the best sector. One of the reasons to explain the bearish turn of the New York indices is the new negative day of Apple, which falls by 1.6% and prolongs its bad streak of recent days. The iPhone manufacturer is close to a 20% drop from its last all-time high in early October. Since it presented results, and announced that it will not break down the sales of its devices, the market has punished the value harshly. Apple's collapse is added to that of other big names in the technology sector, such as Amazon, Alphabet and Facebook, which had led the bull market on Wall Street in recent years. The US monthly CPI rose by 0.3%, in line with forecasts. The underlying CPI, which excludes food and energy, rose to 2.1% year-on-year, slightly below expectations. In addition, weekly mortgage applications declined 0.3%, while the Retail Sales Redbook index rose to 6.1% y-o-y. Industrial production declined by 0.3% in the euro area and by 0.2% in the EU Member States in September this year in comparison with the previous month. 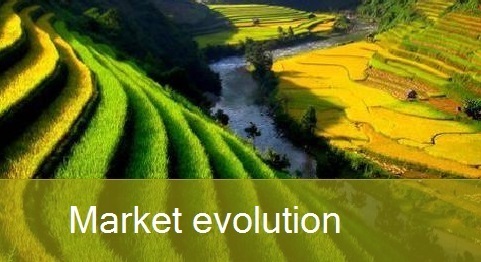 In the EU countries during the same period the production of perishable consumer goods declined and energy production also declined. Gross domestic product grew by 0.2% in the eurozone between July and September compared to the previous quarter. It represents its lowest quarter-on-quarter increase since 2014. In the European Union as a whole, the increase in GDP was 0.3%. It is the lowest rise since 2016. Published figures confirm the slowdown in growth in the third quarter of the year both in the countries of the single currency and in the twenty-eight. Asian markets traded cautiously on Friday 16 November, with further uncertainty in the UK following the resignation of several key government ministers. China's markets, which have been closely watched amid the trade dispute between Washington and Beijing, were bearish at the start of the session. Japanese equities lost initial gains, with the Nikkei 225 trading lower. In Australia, the ASX 200 declined, with most sectors in negative territory. However, the energy sector rose slightly and the financial sub-index remained largely unchanged. The British pound struggled to stay afloat in Friday's Asian trade after a sharp drop in the European session. Following Thursday's events, investors fear a Brexit without agreement. Both the dollar and the yen benefited from a deepening crisis for the UK prime minister after the resignation of key government members jeopardized her Brexit plan. Some analysts believe that the pound bulls have a reason not to throw in the towel yet. They point out that there is the possibility of another referendum that will result in remaining in the European Union. Hostility from members of the British government and the opposition increased the risk that the agreement would be rejected in Parliament. May's plan, which aims to maintain close trade links with the European Union in the future, have the opposition of all parliamentary groups and its own government. This increases the risk of the prime minister herself resigning and the likelihood of another referendum. Oil prices rose in the Asian session on Friday, due to expectations of cuts in OPEC supply. However, U.S. record production continues to weigh. Gold rose sharply to a one-week high during Friday's Asian trading as investors feared a chaotic exit of Britain from the European Union. European markets are expected to open up Friday's trading session. The main American stock market indices have plummeted lately. J.P. Morgan Chase led the banks up on Thursday, November 15. On the other hand Apple, the manufacturer of the iPhone, recovered after plunging into bearish territory earlier in the week. On Wall Street there have been many problems, on the technological side, because Amazon was damaged and is a very important weight. The same thing also happened with Facebook. Crude oil is trying to go up, after the sharp crash of the last few days. The higher prices are negative both for airlines and for all tourism that depends on transport. However, weekly crude oil reserves have increased by more than 10 million, so there is still excess production in the United States. Added to the above factors is the economic slowdown in China and Europe, which is viewed with concern from the Federal Reserve. Retail companies are also in trouble. In the United States they have presented bad results. Sales forecasts for this Christmas are still very low, so the discretionary consumer sector is one of the worst. Was a bearish session in Europe on Thursday 15 November, as there are no factors attracting capital to the European stock markets. What initially seemed to be a positive thing, with respect to Brexit, has derailed in very few hours. Four British government ministers have resigned, raising fears that an unresolved divorce will be forced. As soon as the resignations became known, the pound plummeted by -1.8 per cent. In addition, British banks have had many problems. If we look inside the market, most supersectors are in negative. The major role was in travel and leisure, because the situation of divorce between the UK and the European Union would be very detrimental to this sector. The basic resources and the oil companies have been the best of the day in Europe because of the rise in the price of crude oil. Automotive, and spare parts, has been a major negative weight in the German index, because it has received negative blows again. On the one hand, China has said that it has no intention of lowering taxes on the purchase of vehicles but, in addition, registrations of new cars have fallen again in Europe. The Brexit agreement, reached between Brussels and London, is a big step in the right direction. However, it does not allay all concerns because of the internal situation in the UK. At the moment there is nothing to know whether the agreement will be adopted, as British political current affairs raise concerns about ratification. France is continuing to prepare a specific bill in the event that negotiations for Brexit fail. The agreement reached between Brussels and London, which has led to a wave of resignations in Theresa May's Executive, has to be approved by the 27 and then ratified by the European Parliament and the British Parliament. Voting against will cause uncertainty, more division and betray the 2016 referendum. Prime Minister Theresa May has gone to the House of Commons to explain the deal reached with Brussels. She has done so in the midst of a wave of resignations of her own ministers, protesting the terms of that agreement. Despite the resignations, including that of the Brexit negotiator, May firmly defended the pact. In his view, it is the best possible deal, reached after a complex and frustrating process in which both sides have made concessions. According to May, the only alternative to the current pact is a Brexit without an agreement, which could create total chaos or reverse the country. Dominique Raab, Minister of Brexit, and four other members of the Government have announced their resignation. The pound falls by 1% on fear that the agreement will not be approved by Parliament. It is difficult to be optimistic about the pound in the short term, Nomura analysts say. Raab has assured that he resigns because of problems of conscience, since he cannot reconcile the terms proposed in the agreement with the promises made to the country. The minister's decision has provoked a chain reaction of resignations and before ten o'clock in the morning May had another four letters of resignation on his desk. Rating agency Moody's warns that China's public sector will reach a debt level equivalent to 149% of GDP by the end of this decade. It will do so because the authorities will resort to greater leverage to sustain growth via public spending. Public sector debt includes government debt and that of state-owned enterprises. The report says that China is slowing down because the measures proposed so far appear to be negatively affecting domestic activity, in addition to the risks arising from the tariff war with the United States. Asian equities were mixed on Monday, November 19, amid uncertainty over Brexit and trade. Asian equities were traded in mixed territory at the beginning of the session, while investors remained cautious following tensions between the US and China. The Chinese markets, which were closely watched due to the commercial struggle between Washington and Beijing, were mixed. Japan's Nikkei 225 rose while data showed exports were up 8.2 percent in October from a year earlier. The South Korean Kospi index remained almost flat. The Australian ASX 200 fell at the end of the session, with losses in most sectors. U.S. equities recorded strong weekly losses after a sharp drop in technology stocks. The S&P 500 fell 1.6 percent last week, while the Dow Jones Industrial Average and Nasdaq Composite fell more than 2 percent. Technology, the largest sector in the S&P 500 by market capitalization, was the second worst sector. On Friday, the dollar fell against most currencies after the Federal Reserve was cautious about global growth prospects. This led to a reconsideration of the pace of interest rate hikes in the US. A robust economy and growing wage pressure have strengthened the dollar so far this year. A fourth rate increase is expected in December and probably two more by June 2019. Oil prices rose in Monday's Asian session, as traders expected the main exporter, Saudi Arabia, to put pressure on the OPEC producers' club to reduce supply by the end of the year. Despite this, market confidence remains weak, amid signs of a slowdown in demand and deep trade disputes between the world's two largest economies. On Monday, gold remained stable following comments from the Federal Reserve, which was cautious about global economic growth. European markets are expected to open Monday's trading session down. On Friday November 16 Wall Street suffered, after the sharp falls in the technology sector. Technology, the largest sector in the S&P 500 by market capitalization, was the second worst sector of the week, falling 2.5 percent. The decline came after a 5.4 percent decline in Apple. Wall Street analysts fear that iPhone sales will slow. Other technology-related stocks such as Amazon and Netflix also fell by 7 percent and 5.7 percent, respectively. Nvidia's heavy losses dragged down the chip sector and the technology sector in general. Facebook was also under pressure this week, dropping nearly 4 percent. The third-quarter earnings season is leaving disappointing sales forecasts in the technology sector. Was a negative session in Europe on Friday November 16. On the horizon we continue to see problems with the strength of the economy and political instability makes the situation even worse. The third quarter of this year is not being positive in terms of gross domestic product growth. Italy has been flat, the euro zone has slowed and Germany has presented the quarter in negative. The European Central Bank has made statements that the weakness of the economy is stronger than expected. Investors have been speculating about whether central banks will not be free enough to relax their monetary policies. In a sense cheaper money would help the economy, but the banking sector has been one of the worst because the time to raise interest rates, and increase their profit margin, does not seem to come. Moreover, the political environment is not favourable. There are serious problems in both Italy and the UK and doubts about the situation in Spain. Crude oil is taking its revenge on the last day of a tough week. It has collapsed to levels not seen since March. Crude oil is now up by 2.5% after a week that started with upsets following Saudi Arabia's announcement of its intention to cut production. However, in the middle of the week Donald Trump's words, urging OPEC not to make any cuts, caused crude oil to fall sharply. Due to oversupply, which comes after record production levels in many countries, Morgan Stanley believes that OPEC cuts are temporary. Wall Street records falls in the last session of the week. The market reacts thus after the new turn of the Brexit, with a series of resignations that put in a difficult situation Theresa May. In addition, the technology sector is under pressure again, after the bad results of Nvidia by the fall in demand for chips for cryptodivisas. On the political front, investors are focusing on Brexit and a likely motion of censure on Theresa May. The British pound suffered its worst fall against the euro since October 2016 on Thursday. The annual inflation rate in the euro area was 2.2% in October. It is one tenth above the increase recorded the previous month and represents the largest price increase since December 2012. The price of energy recorded a year-on-year rise of 10.7%, compared to an increase of 9.5% in September, while the price of fresh food rose by 2.1%. In the case of services, they rose by 1.5% in October. Excluding the impact of energy prices, euro area inflation in October stood at 1.3%. Among the EU countries, the lowest price increases were seen in Denmark, Portugal and Ireland. Estonia, Romania and Hungary had the highest inflation rates. The President of the European Central Bank considers that the weakening of the eurozone economy at the moment is normal, after the previous expansion. The President of the European Central Bank has warned that uncertainties for the medium-term outlook for inflation have increased. The Governing Council of the ECB will analyse the risks to growth and inflation at its next meeting in December. Interest rates are expected to remain at current levels until at least the summer of 2019. The ECB reduced purchases of public and private debt to EUR 15 billion in October and will stop purchasing bonds in January. Stocks of Japanese automaker Nissan dropped 5.51 percent on Tuesday, Nov. 20, after its president, Carlos Ghosn, was arrested on charges of financial misconduct. The automobile giant said in a statement that, for many years, Ghosn and board director Greg Kelly have been underestimating compensation amounts in the Tokyo Stock Exchange's stock report. Nissan added that many other significant acts of misconduct have been discovered, such as personal use of company assets. The company said Ghosn had also made inappropriate investments. The Japanese market generally showed downward, with the Nikkei 225 benchmark in negative. In South Korea, Kospi fell. China's markets also showed negative territory. 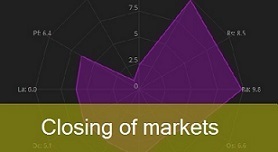 Australia's ASX 200 fell at the end of the session, with almost all sectors losing. During the Wall Street session, the Dow Jones Industrial Average fell close to 400 points. The 'FAANG' market, consisting of Facebook, Amazon, Apple, Netflix and Alphabet, is now on a downward trend, with each of its components more than 20 percent below its year-end highs. In addition, Chinese authorities have alleged massive evidence of antitrust violations by Samsung. The dollar hit a two-week low Monday, as the Fed's comments on the global economic outlook raised doubts about whether the U.S. Central Bank will be able to continue raising interest rates on schedule. In Tuesday's Asian session, oil markets lost momentum. Deteriorating economic prospects and increased production in the United States outweighed the supply cuts planned by the Organization of the Petroleum Exporting Countries. In Asia, gold fell sharply on Tuesday, ahead of festivities in the United States. The weakness of the dollar exerted a lot of influence. European markets are expected to open Tuesday's session downwards. Dow plummets 400 points for Apple, Amazon and Facebook downturns. U.S. indices fell sharply on Monday, November 19, as major technology companies collapsed. Facebook and Apple led the losses. The 'FAANG' market, made up of Facebook, Amazon, Apple, Netflix and Alphabet is now on a downward trend with each of its components more than 20 percent below their year-end highs. Apple declined after it cut production orders for the new iPhone introduced earlier this year. The company's shares fell almost 4 percent. Facebook shares fell 5.7 percent, as the company was hit with more negative publicity about the consequences of its handling of the 2016 elections and foreign influence on its platform. The downturns were also driven by the fact that Chinese authorities had presented massive evidence of Samsung's antitrust violations. European shares fell on Monday 19th November amidst continuing uncertainty over the UK's future relationship with the EU and the car industry scandal. The Stoxx 600 pan-European index provisionally ended with a slight fall and most sectors and major stock exchanges in negative territory. UK-listed stocks were flat, amid relative calm over Brexit-related news. The challenge against Theresa May's leadership, for now, has not materialised. Core resources were among the best sectors midway through the European session, amid conflicting signals about global trade tensions. The governments of Chancellor Angela Merkel and French President Emmanuel Macron have presented their European Union partners with a draft eurozone budget to finance public investment in times of crisis. This budget would leave out countries that fail to comply with EU fiscal rules. If it were active at the moment, Italy, whose national populist government has decided to flagrantly bypass the Stability and Growth Pact, would have considerable difficulty accessing it. After achieving a truce in attacks on her leadership, the UK Prime Minister launched a campaign to try to win British support for her brexit agreement. She underlines that the pact allows restricting the arrival of European immigrants. May, who plans to multiply her media appearances in the coming days, admitted that her pact is not ideal but responds to the main reasons that led 51.9% of voters to support Brexit in 2016. As Interior Minister, for six years she did everything possible to reduce immigration, but had one hand tied behind her back because she could do nothing about people coming from the European Union. Now the freedom of movement is ending. No more huge sums of money will be sent to the European Union, the jurisdiction of the European Court of Justice will be abolished, the common agricultural policy and the fisheries policy, the customs union and the single market will be abolished. The president of China has only been at the head of the communist regime for five years, but he is the undisputed protagonist of the exhibition on the 40th anniversary of the opening and reform. It is the so-called Chinese miracle, which the Asian giant is exhibiting at a large-scale exhibition in Beijing. After Mao Zedong's death, Deng Xiaoping promoted the economic reforms that transformed the country into the world's second economic power. 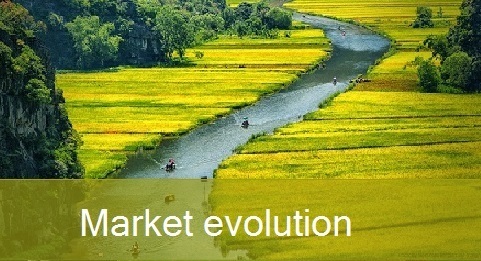 It was made possible thanks to a development unprecedented in history which, however, brought with it some of the greatest challenges facing China. After losing the $6,000, for the first time in more than a year, the bitcoin has lost another 5% in the last 24 hours and has hit a new annual low of $5,250. Red is imposed on most encryption assets, with new double-digit drops in the ethereum or litecoin. The total market capitalization is 170 billion, a figure not seen since October 2017. The price of the creation of Satoshi Nakamoto has been in free fall during the past week. This new division of the bitcoin cash block chain is a consequence of the fact that the developers and miners of the currency have not agreed on the direction in which the cryptomoneda should take. On Wednesday, November 21, Asian markets fell amid unstable investor confidence and heavy losses on Wall Street. China's markets collapsed. The moves in China came after the US said Beijing has failed to change its unreasonable practices. An update of the US Trade Representative's research into China's technology transfer and intellectual property policies has been published, triggering Washington's recent tariffs on Chinese exports. The Japanese Nikkei 225 and South Korean Kospi dropped. Stocks in Australia also traded lower, with the ASX 200 losing 0.49 percent and all mixed sectors. The heavily weighted financial sub-index recovered from previous losses. The Dow Jones Industrial Average and the S&P 500 fell sharply on Tuesday and are already losing year-over-year gains. The fall in Target stocks put pressure on retailers, while some of the most important technology stocks fell again. 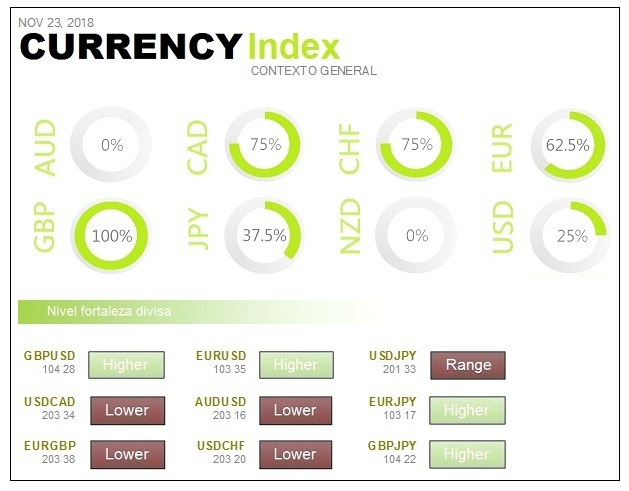 The dollar rose against most of its major currency pairs as investors took refuge in riskier assets and safe haven currencies. Fears remain about the slowdown in global growth and the U.S.-China trade war. In Wednesday's Asian session, oil rallied around a dollar a barrel and regained some of the 6 percent drop seen the day before. The unexpected drop in U.S. crude oil inventories and the record imports of crude oil from India have had a lot of weight. However, the International Energy Agency warned that there is unprecedented uncertainty in oil markets due to a difficult economic environment and political risk. Gold fell Wednesday in Asia, with the U.S. dollar boosted by demand for safe-haven currencies and investors watching tensions between China and the United States. Dow drops more than 500 points and erases 2018 gains. The Dow Jones Industrial Average and the S&P 500 fell sharply on Tuesday, November 20, and lost year-over-year gains. Target's stock performance pushed lower, while some of the most important technology stocks fell again. The Nasdaq Composite also declined 1.7 percent, but managed to maintain a slight gain on the annual balance. Investors continue to believe that the market is expensive and a panic situation has not yet been reached. On Tuesday, November 20, European markets fell sharply, spreading the latest wave of sales worldwide. The Stoxx 600 pan-European index finished falling by around 1.09 percent at the close, with most sectors and major exchanges in negative territory. Technology stocks were among the worst performers. The sector fell more than 1.9 percent, which worsened European market confidence. The European banking index also fell by 2.2 percent, amid greater concern about the slowdown in economic growth. As for the Brexit negotiations, the period of uncertainty seems to be continuing. Wall Street records strong falls, which are above 1% in the Dow Jones and the S&P 500. On the Nasdaq, losses are 2%. 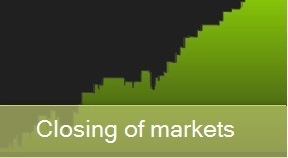 The market reacts to the new falls of the FAANG, which have entered downward territory. Facebook, Amazon, Apple, Netflix and Alphabet are all down 20% on their annual highs. The manufacturer of the iPhone, for example, has just hit -20%, which doubles when talking about Netflix and Facebook. Not even Amazon is free, although historically it has achieved a stock exchange return close to 4% in the week of Black Friday. Facebook and Instagram have suffered a worldwide downturn that prevents millions of users from accessing the service. When trying to enter both pages, the message 'maintenance work' appears. The problem affects the web pages, so that access is allowed through its application to some users. The fault was detected around 13:00 on Tuesday. It affects everyone, although mainly Europe and the United States. The problem occurs just one day after the instant messaging service Facebook Messenger suffered problems in several European countries and in the United States. Both Facebook and Instagran have been suffering problems for months. Negotiators from the European Parliament and the EU Council have been unable to reach agreement on the 2019 EU budget before the deadline. This obliges the European Commission to present a new draft, which must be approved before the end of the year. The initial positions on the amount of the budget already accounted for the differences. MEPs called for payment commitments to be increased to €166.3 billion and payment appropriations to be increased to €149.3 billion. However, governments preferred to reduce commitments to 164.1 billion and appropriations to 148.2 billion. What does May want about Brexit? During the meeting with the President of the European Commission, Jean-Claude Juncker, May will focus on the declaration on the future relationship between the United Kingdom and the European Union. The declaration, which is not binding, is intended to be the basis for a future trade agreement. But for May it is very important that the text makes it clear that the controversial plan to regulate the border in Northern Ireland will only apply on a temporary basis. The so-called 'plan B' would create a UK customs union with the European Union subject to the bloc's rules on such important issues as taxation and the environment. The Conservative Party, to which May belongs, believes that Plan B will never come into force. At this point, EU leaders reject the idea of restarting talks on Brexit. Chinese equities were negative on Thursday, November 22, and investor sentiment remained cautious. China's markets have been closely watched by investors over the Beijing/Washington trade dispute. The next meeting between Presidents Xi Jinping and Donald Trump is expected with interest at the next G-20 meeting in Buenos Aires between November 30 and December 1. In the rest of Asia the overall picture was positive. The Nikkei 225 regained gains at the end of the session. Moves in Tokyo came after Japanese consumer prices rose 1.0 percent year-on-year, in line with expectations. South Korean Kospi fell. In Australia, the ASX 200 benchmark rose 0.9 percent, with most sectors in positive territory. The shares of Australia's so-called 'Big Four' banks have recorded gains. Most traders expect little movement in Thursday's Thanksgiving session in the US. However, investors will be prepared for what could be exaggerated moves if news arrives on geopolitical issues, which are so influential in the market at the moment. 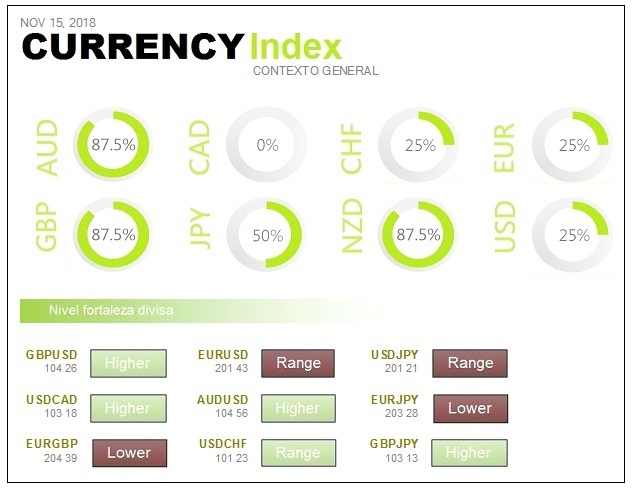 The dollar fell sharply in the Asian market, as demand for safe-haven currencies remained stable after the global stock market rally and the euro strengthened. Over the past two sessions, the dollar has been in great demand, as risk appetite was diluted by fears of a slowdown in global growth. Crude Oil was the focus of Wednesday's November 21 session, giving a positive tone as weekly oil reserves show a significant decline. This has led to a price rally that has helped commodities and oil companies. Gold remained firm after hitting a two-week high, while risk appetite continues to decline. Weekly U.S. Unemployment Claims top 220,000. There is a recovery, from the lows of the year, but if it approaches 300,000 petitions it would reflect a slowdown of the economy. Crude oil was the protagonist of the session on Wednesday 21 November, giving a positive tone because the weekly reserves of crude oil show a significant decline. This has led to a price rebound that has helped commodities and oil companies. In the US Durable Goods orders have fallen by 4.4%. Moreover, the leading indicators only show an improvement of 0.1% and falling, which is a sign of deceleration. The final reading of consumer confidence, created by the University of Michigan, gives a lower reading than last month and is worse than expected. This negative figure appears just before Black Friday, which increases the fear that this year's consumption will be lower. Was a bullish session in Europe on Wednesday 21 November, which moves away from the lows. The second-hand home sales figure has managed to rebound, after many months of declines. The most important thing has been the comment of the association NAR asking for a stop in the rise in interest rates to revitalize the market. They warn that the rise in interest rates and the rise in mortgage rates are affecting this important sector of the economy. The bad news has been very concentrated in Italy and Spain. Salvini would be open to making changes to next year's budgets, which was encouraging investors to enter Italian and Spanish debt. However, this was disproved from government coalition sources. This again provoked a phase of instability. The European Commission rejects Italy's 2019 budgets and opens the way to a sanctioning procedure for excessive deficit. This, although it seems the opposite, was taken very positively by the market because Europe was putting the brakes on populist intentions. With respect to Spain, a sanctioning procedure has not been opened, but the problems of its budget have been very well reasoned. In addition, the International Monetary Fund and the OECD have reduced growth prospects for this country. Wall Street reacts to heavy losses on New York indices in the first two sessions of the week. The New York Stock Exchange closes its doors on Thursday for the Thanksgiving day and will only open half a session on Friday. Investors are on the lookout for technology, after the latest crash that has registered companies such as Facebook, Apple, Amazon, Netflix and Alphabet. These large companies, known by their acronym FAANG, have entered the bear market by dropping more than 20% from their historical highs. Stocks linked to the oil sector fell, after the 6% crude oil slump. On the macroeconomic front, durable goods orders in October were down 4.4%. This is above the expected fall of 2.5%. Excluding the transport item, orders rose by 0.1%, which is below the 0.4% expected. In the labour market, initial jobless claims have rebounded to 224,000. They are above the 215,000 expected. These data continue to indicate a healthy U.S. labour market. The window for some of the world's largest central banks to follow the Federal Reserve, and start normalizing monetary policy, is closing rapidly. This means they may be stuck in a zero interest rate policy for years or even decades. The European Central Bank, Bank of England and Bank of Japan are expected to tighten their policies next year by raising interest rates. Asset purchases are also expected to be phased out, allowing long-term yields to rise. There is a growing sense that economic expansion is losing steam and could stop in 2019. If it were to happen, some banks would be late for reforms. The system will seek to protect Europe from the growing trend of investments that are not the result of normal market forces. The European Parliament and the Council of the European Union announced an agreement to set up a system for monitoring third party investments in critical sectors such as technology or infrastructure. The aim is to prevent third countries, such as China, from making investments in the EU that threaten security or public order. I don't think there was a particular reason for this slight rebound other than everything being massively oversold on Tuesday. Happened across almost everything (overselling AND slight rebound). All the gains seem to be getting negated today - and without a catalyst, both yesterday and today. West Texas oil traded below $54 a barrel as an increase in American crude inventories added to the bearish sentiment. Oil keeps coming down after yesterday's US inventory data at the highest level in 1 year and by the new US production record. U.S. West Texas Intermediate (WTI) crude futures, were at $53.38 per barrel at 0141 GMT, 25 cents, or 0.5 percent below their last settlement. Front-month Brent crude oil futures were at $63.28 per barrel, down 20 cents, or 0.3 percent, from their last close. Most Asian stocks fell on Friday, November 23, as investors remained cautious amid growing tensions between the U.S. and China, as well as uncertainty surrounding the U.K.-EU negotiations. China's markets, closely watched by investors over Beijing's trade dispute with Washington, fell at the beginning of the session. Concern about trade tensions continues to grow ahead of next week's meeting between Donald Trump and Xi Jinping. South Korean Kospi fell 1 percent, with Samsung Electronics shares falling. The Australian benchmark ASX 200 extended its recovery to see gains at the end of the session. However, stocks of Australia's leading mining companies were mostly weak. U.S. markets remained closed on Thursday 22 November for Thanksgiving and will close earlier than usual on Friday. The euro and pound sterling rose against the dollar after Britain and the European Union agreed on a draft text outlining their future relations. Investors were cautiously optimistic about the Brexit project. Nevertheless, traders are still waiting for more clarity, as the Brexit agreement faces a difficult road once it reaches a deeply divided British Parliament. During Friday's Asian trading session, crude oil hit a year low, while the market was affected by fears that global supply would plummet amid a gloomy economic outlook. Even with the expectation that the group of producers of the Organization of Petroleum Exporting Countries will begin to withhold supply in 2019. The price of gold rose on Friday, for the second consecutive week, due to the demand for precious metal as a refuge. European markets are expected to open Friday's trading session downwards. U.S. markets remained closed on Thursday November 22 for Thanksgiving Day. On Wednesday, November 21, the Dow Jones Industrial Average closed below the flat line, erasing a 200-point advance in the session. Strongly weighted Apple stocks failed to hold on to strong gains early in the day. European markets traded in negative territory on Thursday 22 November, as investors remained cautious about budget difficulties in Italy and Spain, uncertainty over Brexit and global geopolitical tensions. At the end of the session, the pan-European Stoxx 600 had fallen 0.65 percent, with all major indices in negative territory. In terms of sectors, travel was the only winner and the basic resources were the worst. Progress on the Brexit agreement continues to dominate European headlines. The pound sterling rose 1.2 percent, after British and EU political leaders agreed on the text that will regulate their future relationship. The President of the European Commission, Jean-Claude Juncker, declared that an agreement has been reached at the level of negotiators and at the political level, subject to the approval of the leaders. On Sunday there will be a meeting of the leaders of the European Union in which they are expected to approve the Brexit project. According to the minutes, inflation will converge towards the target, which is just under 2%, and will remain at that level after the gradual interruption of debt purchases. In the minutes of its last monetary policy meeting, the Entity says that there was broad agreement among the members of the Governing Council. They agree that the economic expansion of the euro area is broad, despite the fact that the latest economic data have been somewhat weaker than expected. Wage developments were seen as the factor increasing confidence in the outlook for higher consumer prices. Wage growth in the euro area accelerated to 2.3% in the second quarter from 1.9% in the previous quarter. Some people think that the traditional end of the year rally, which is not always fulfilled, starts precisely from this Thanksgiving day and not before as is usually believed. 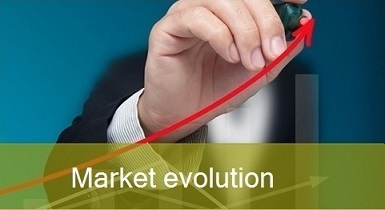 If there is a rally in the markets this year, the technology sector will be the key. Technology is king in performance, at a level not seen since the 2000 bubble. One of the usual things about the rally is that the American Association of Individual Investors survey has a tendency to take extreme numbers of buyers. This year so far is not showing too much information. The President of the European Council assured that the negotiators of the European Union and the United Kingdom have agreed on a draft political declaration on the future relationship between London and Brussels after Brexit. The President of the European Commission, Jean-Claude Juncker, has reported that the text has been agreed at the level of negotiators and at the political level. He added that the document has yet to receive the backing of the heads of state and government of the countries of the European Union, which should happen at the summit on Sunday. Some countries have expressed reservations about these documents, in aspects such as Gibraltar or fishing. The British Prime Minister admits that Gibraltar is the last hurdle in sealing the Brexit pact. Theresa May has confirmed that the British government has a preliminary agreement with the European Commission to implement Brexit in an orderly manner on 29 March 2019. However, this document must be ratified by the 27 member states in the coming days. One of the main obstacles to closing the pact is the position of the Spanish government, which wants to ensure that everything that affects Gibraltar will be negotiated bilaterally between London and Madrid. The pound is up more than 0.5% against the dollar and the euro, in view of the prospect that the Brexit pact will be closed this Sunday.